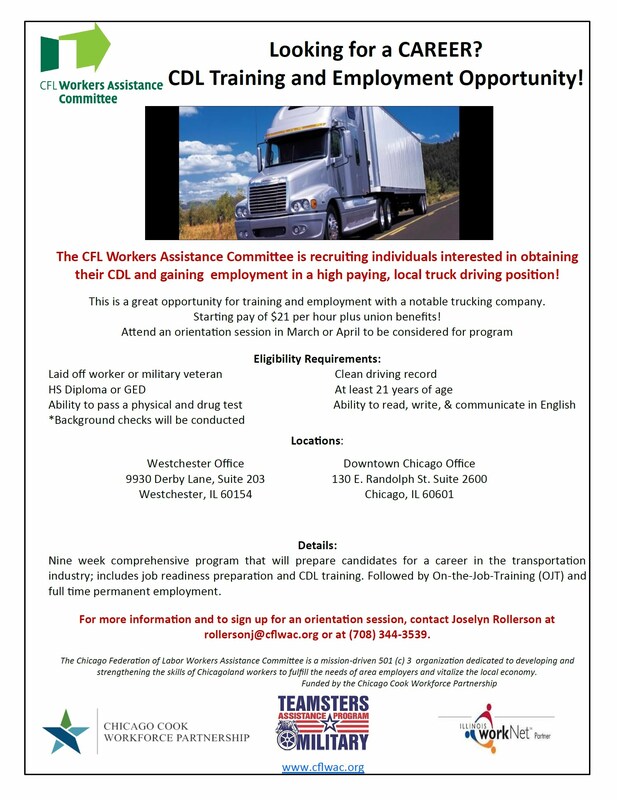 The CFL Workers Assistance Committee is recruiting individuals interested in obtaining their CDL and gaining employment in a high paying, local truck driving position! This is a great opportunity for training and employment with a notable trucking company. Starting pay of $21 per hour plus union benefits! Attend an orientation session in April to be considered for program.